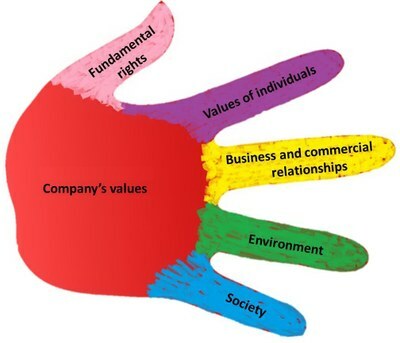 The Code of Ethics outlines the ethical principles that guide the Elay Group, and pertains to all those who act in the name of the Elay Group. The purpose of the Elay Group is to create wealth over the long term, with the end goal of distributing this wealth, both directly – through profit sharing, salaries, purchases, subcontracts, and other means – and indirectly – through the payment of taxes, charitable donations, and more – wherever the Elay Group is present. Similarly, the purpose of all people who make up the Elay Group is to provide value for our clients. The present Code of Ethics is a guide for our attitudes, actions, and relations, which is to be followed so as to provide the greatest value possible. Ever since it was founded, Elay has maintained a clear and direct commitment to society. Elay has always striven to work sustainably, protecting all forms of wealth – including economic, cultural, and others – in its surrounding communities, as well as working to promote equality. (READ MORE).